I’m just going to skip the part where I apologize profusely for taking so long to post about this fun and fabulous event and go straight to photos of the event itself and the dress I managed to crank out for it. Sound good? Ok! 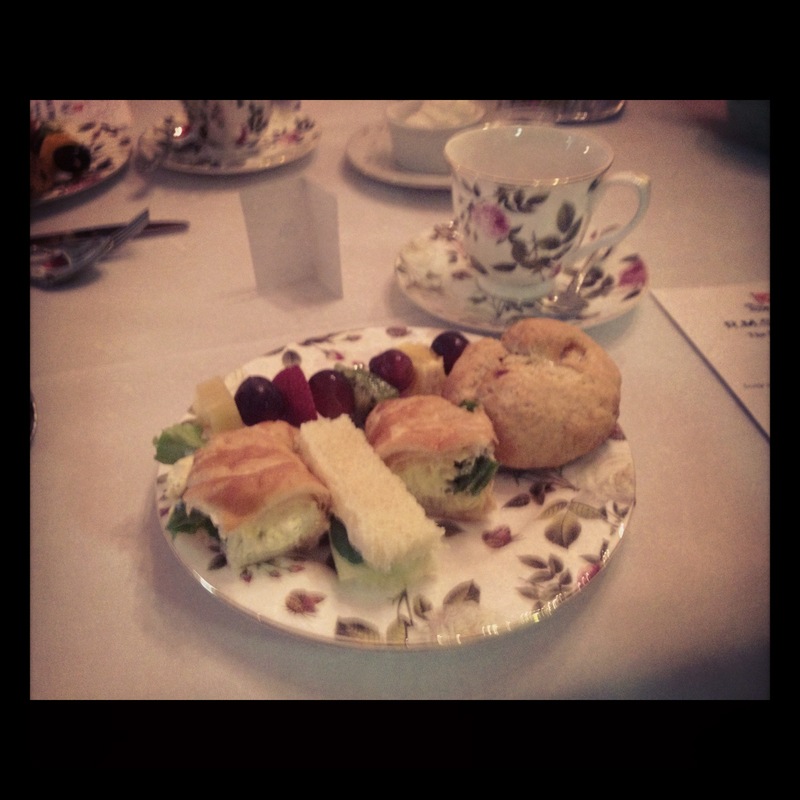 So, Saturday was the Titanic Centennial Tea, an event hosted by The Puget Sound Ladies Costume Society and headed by yours truly. Readers, it was amazing. The food was delicious, the converstion excellent (we spent most of the time chatting about history nerd stuff, including the ship and reenacting), and the setting was lovely. All of the ladies were so well-dressed, and I was slightly jealous that I didn’t manage to crank out a hat since there were so many whimsical hats there. Oh, well. The hair was an interesting experience, as my only experiences with historic hair have mainly been confined to the 1850s/60s or 1940s/50s/60s. I used this fabulous tutorial and was really pleased with the results (so pleased, in fact, that I left it in the style after the tea when I went to go see Titanic in 3D). Speaking of the re-releasing of the movie and the amount of Titanic Centennial celebrations I’ve seen going on, the cult around the popularity of this shipwreck is really fascinating to me. Of course, the ship itself and its role as sort of a microcosmic view of the world at the time is also fascinating, but I’m really interested in how engrossed we as a culture seem to be in the whole tragedy surrounding. Without a doubt, the 1997 movie helped in this regard (Leo Dicaprio especially), but I don’t think that’s the whole reason. I think the sinking really marked the beginning of the modern age, with WWI beginning 2 short years later. 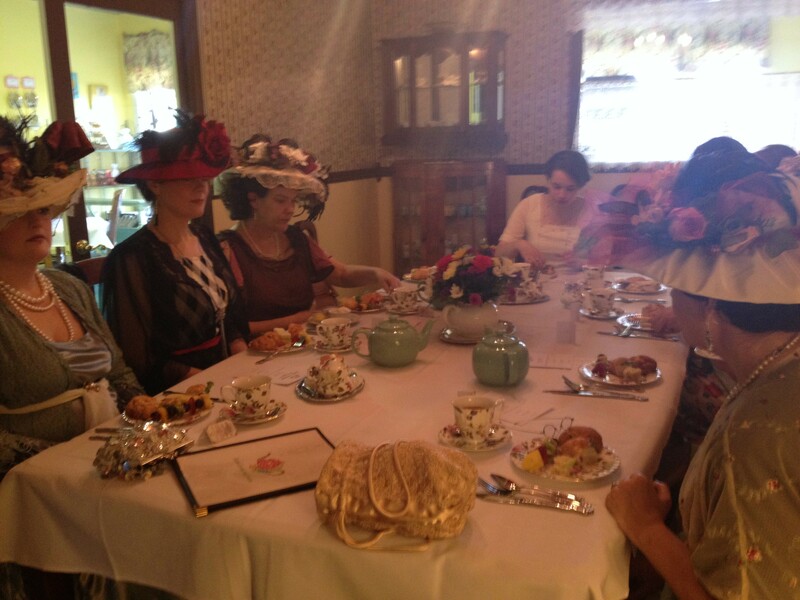 Interestingly enough, one of the gals at the tea asked me why I had decided to put together a tea to celebrate the centennial, and after jokingly (but somewhat truthfully) saying, “I was dumped!” I told her that I’d always been fascinated by the ship and that this was a good opporotunity to do an Edwardian event. I’ve actually been thinking about this question and my response to it quite a bit the past few days, and I can’t help but wonder: is there something morbid in commemorating the deaths of over 1500 people in a shipwreck a hundred years ago? And if it is, what does that say about commemorating other tragic events of the past, like the Civil War or the American Revolution, which are significantly more commemorated via reenactments? Thoughts on this? Anyways, more photos can be seen of the event here on the PSLCS blog. We’re planning a Bastille Day Croquet picnic as our next event, probably in July. Definitely looking forward to making an outfit for that! First off, apologies for such a (relatively) long absence. I try not to get too personal on this blog, but the past couple of months have been rough on me, the last two and a half weeks especially. I’m not going to name specifics, but it’s just difficult when you look forward to something for so long and plan for it and then it doesn’t come to fruition. At the same time, I feel like I’ve grown so much (emotionally; I’ll always be 5’4″ unfortunately) during the past few months and learned some life lessons that have been difficult to swallow. And it turns out that stress baking and listening to Adele are good for swallowing difficult life lessons. Anyways. . . . .
I’ve been chugging along on the Lady Mary Dress, and I thought I would share some in-progress photos with you all! I’m using this Laughing Moon pattern, which so far has worked out great except for a minor issue in the fitting of the bust (which I was easily able to fix by just taking in the seam by pinning out the excess fabric). A small amount of the lace that is to be sewn on to the bodice . 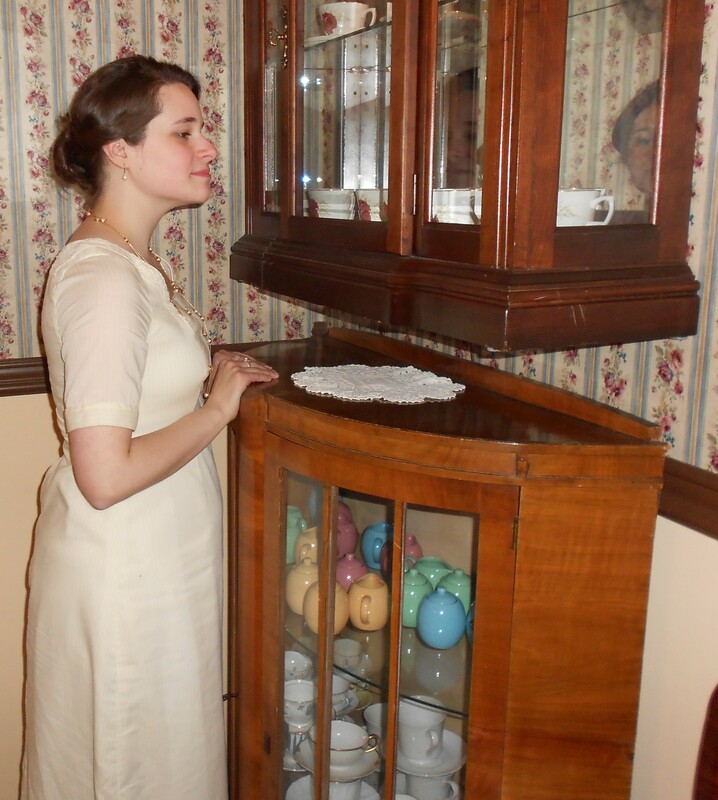 . .
Anyways, the Titanic tea is tomorrow and for reasons listed at the start of this post, as well as crazy amounts of schoolwork, I’m not as far along on the dress as I had hoped. But, I feel confident that I’ll be able to finish it tonight, as there’s not that much work left. Alright, off to go sew some lace to the bodice and put the skirt together. Have a lovely Titanic Centennial Weekend, everyone! 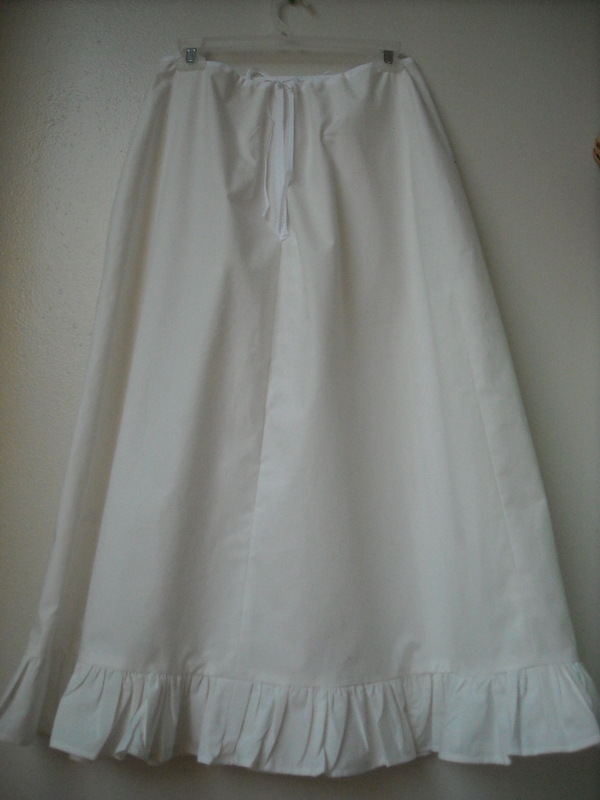 Well, I’ve finally finished the petticoat for the Titanic tea next month! It’s made out of pima cotton and I used Folkwear #203 as the pattern. I’ll write a pattern review on this eventually (I’m thinking that after I get my whole set of Edwardian underthings done, I’ll write pattern reviews for everything and then link to them), but overall, I really liked this pattern. 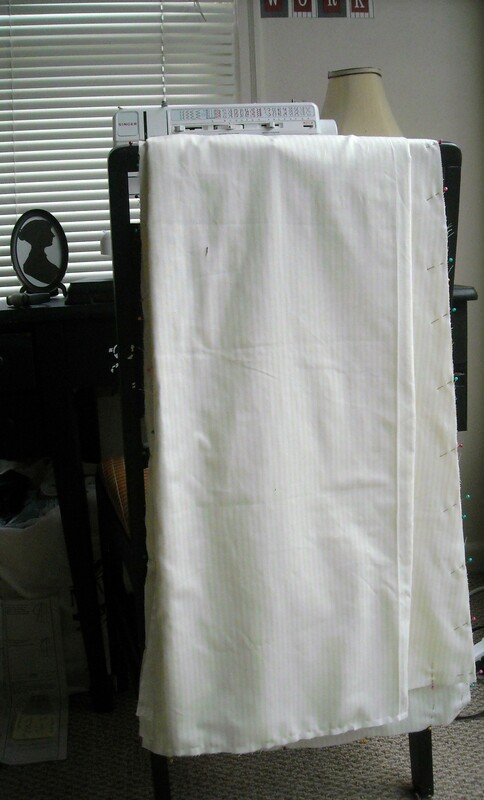 The pieces went together very easily, which was great since this is the first gored skirt pattern I’ve ever used. The only thing that I could not figure out was the placket in the back, as the directions (at least for me) were super confusing. 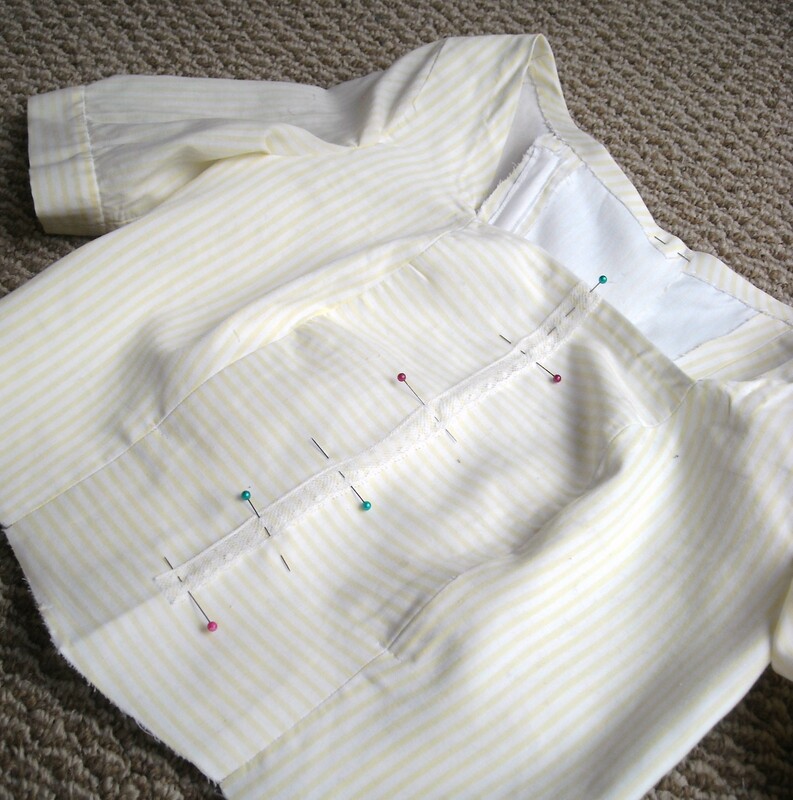 So, I just improvised and used some of the bias tape that I used for the drawstring waistband on the placket. 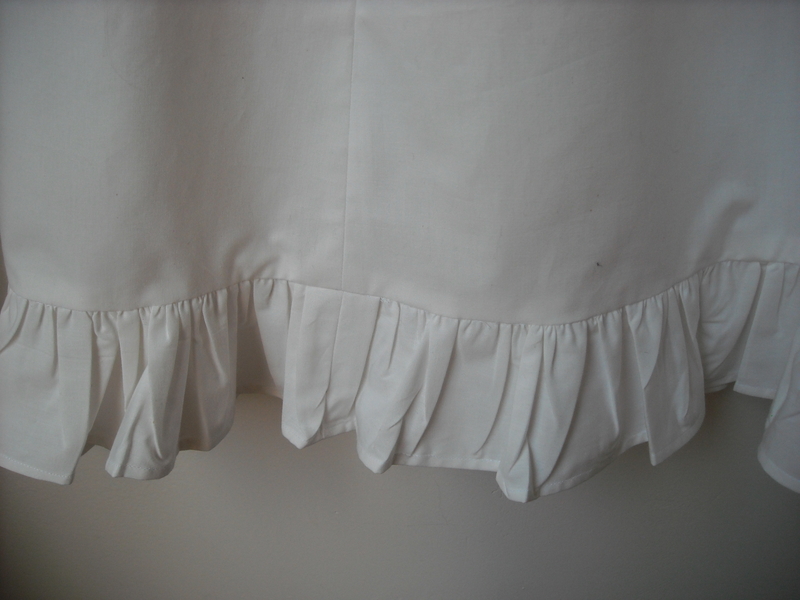 The ruffle was definitely the most labor-intensive part, and I think that if I ever make another of these petticoats again (which probably won’t be for a while. 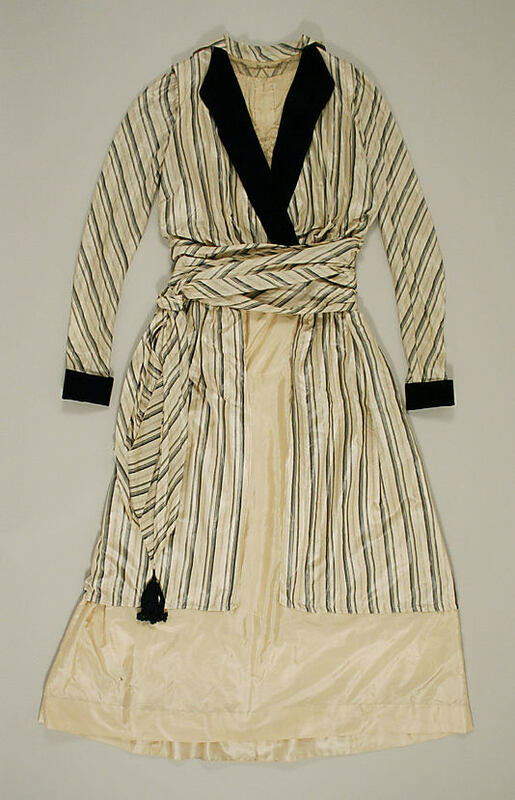 Luckily, the 1910s aren’t like the 1850s and you only need one petticoat), I’ll use a lighter fabric. The pima cotton was a bit too heavy when it came to trying to do the gathering for the ruffling. 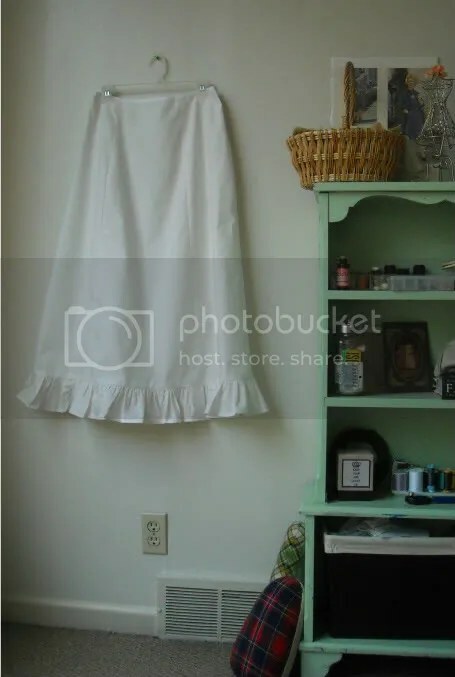 I may also add some lace, either over the gathering of the ruffle or along the hem edge, but the lace I have right now is either the wrong color, being used for something else, or there’s not enough of it. Finally, I’ve decided on my dress for the tea! I spent most of last week stressing about this, debating about whether to do a dress with a chiffon overlay and then panicking about how annoying that would be. 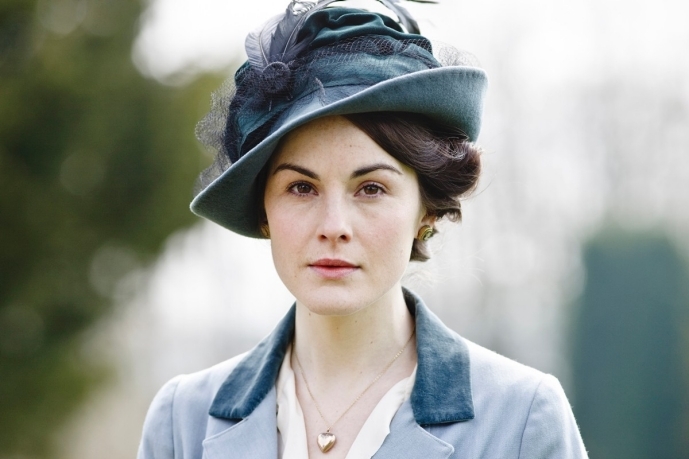 So, ultimately, the Lady Mary dress won out. I love its simplistic elegance, and this Laughing Moon Pattern (minus the overlay) is the exact same shape as the dress, which will make things infinitely easier. The only modification I’m making is using a yellow and white striped cotton fabric as opposed to a lavendar and white striped fabric. The best part? I already had the yellow fabric in my stash! The only lavendar and white stripe I was able to find, although gorgeous, was way more than I wanted to pay at $16 a yard. The lace applique (which I actually have 3 of) was a lucky find at the Sewing Expo, and I think that I’ll do a v-neck in the back for this dress and then use the applique to embellish that. Anyways, despite the initial confusion and differences in construction from what I’m used to, I’m really digging Edwardian and teens fashions. 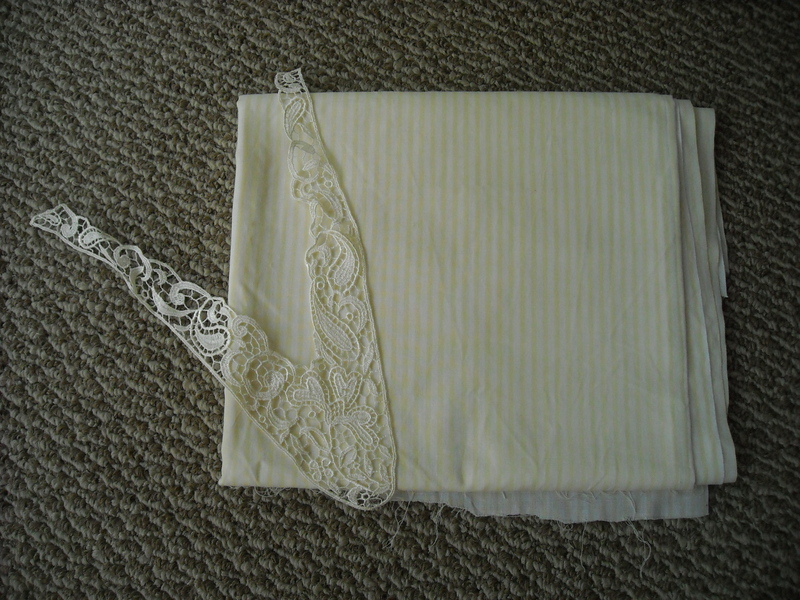 Now to decide whether to do combination undies (like this), or a separate chemise and drawers. Hmm . . . 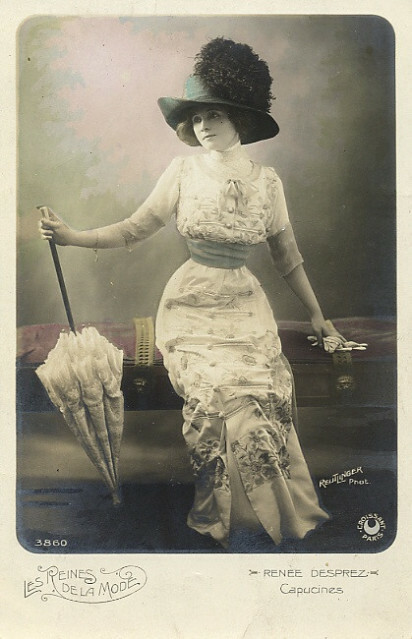 In researching Edwardian and Titanic styles for the tea, I thought it would be helpful to share what costuming resources I’ve found, in the hopes that this will help those out there who are new to styles from this era (like me!) 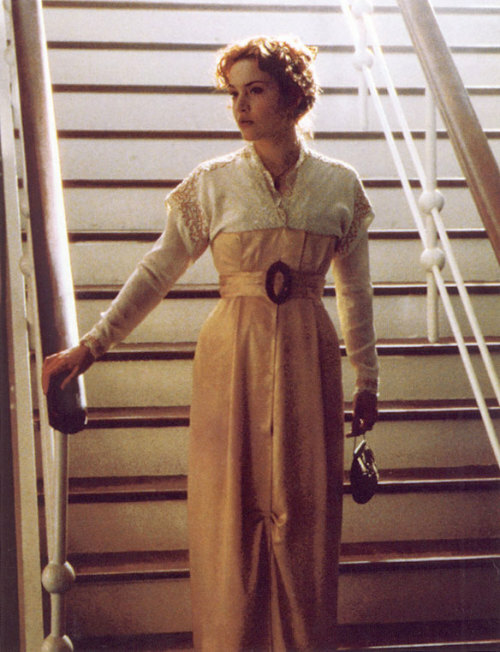 in putting together an outfit, either for a reenactment or a 100th Titanic anniversary celebration. One caveat, however: This is by no means an exhaustive list*, so please feel free to comment down below with any resources you yourself may have found! *For a more exhaustive list, see this fabulous blog post!